The building now called Llangynwyd Village Hall was originally built as a schoolhouse by the Margam Estate during the 19th Century and used until the existing village Primary School was built in the 1920s. In 1895 it is recorded as having a school roll of 96 pupils. After it ceased being a school it became a church dedicated to St. Stephen. The building was used as a church up until the 1990s before declining church attendance resulted in it being sold for use as an artist’s studio. The Llangynwyd Community Association (LCA) was set up 12 years ago when the original hall was demolished after a fire. During the last 12 years the Association has worked hard to purchase and renovate the hall through holding various fundraising events and successfully obtaining grants. On 4 April 2014 the Llangynwyd Village Hall was officially opened by LCA President Mrs Mari Griffiths-Jones and Huw Irranca-Davies MP for Ogmore. 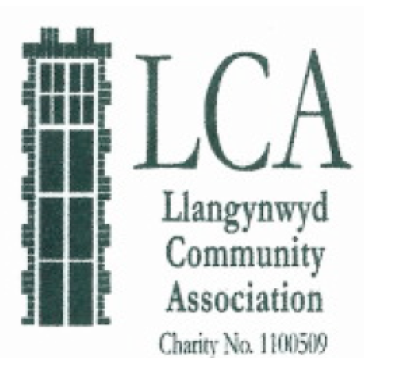 On 16 September 2015 Llangynwyd Community Association became a Charitable Incorporated Association. Registered with the Charity Commission with registration number 1163604 this means that the LCA now owns the village hall. When built, the main hall was the assembly hall for the Pontrhydycyff National School and following the building’s consecration as a church dedicated to St Stephen it hosted the congregation. 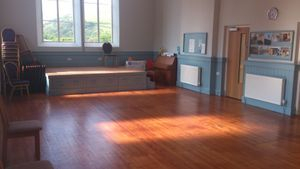 After several years as a studio by the renowned Canadian born artist William McClure Brown the Llangynwyd Community Association were able to renovate and update the hall for use as a community meeting space. Used for a number for different functions during the week including a playgroup, a singing group, table tennis, sewing clubs and keep fit activities, the hall is ideal for functions and parties. The stage and piano allow the hall to be used for musical performances and concerts. The hall will seat 75 people in comfort. This room was the classroom of the original Pontrhydycyff National School and was the vestry when the building was St Stephens Church. The room now hosts our lovely coffee shop. Come along 3 days a week and enjoy a freshly made Ferraris Coffee or a nice refreshing cup of tea served by one of our friendly volunteers. Take a look at the local art display provided by our friends at the Maesteg Arts Society. 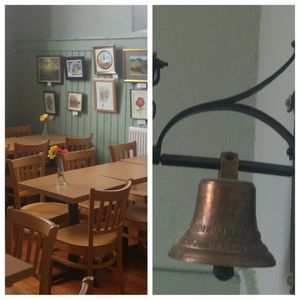 The school room also features the original school bell which was found during the renovation works at the hall and was refurbished. As well as being the coffee shop, the School Room can also be booked as a small meeting room. It can hold 20-25 people.